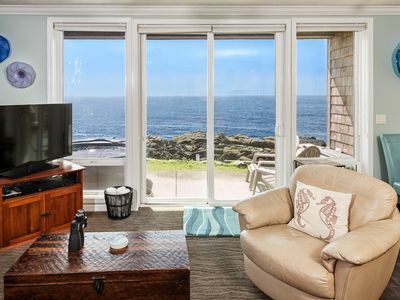 Seas the Day is not your typical Sea Gypsy rental condominium. Completely rebuilt, this condo features a custom kitchen complete with stainless appliances, granite counter-tops, and glass backsplash. 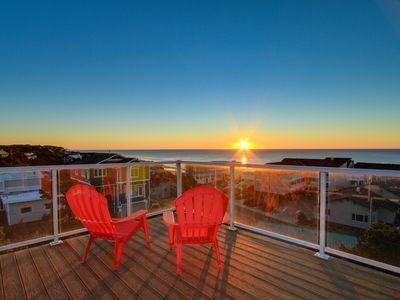 There are two bathrooms, one en-suite to the large bedroom featuring a king size bed, and the main bath with a bathtub. A Fully Equipped Kitchen complete with a dishwasher (bring your favorite K-Cups). Comfortable Living Area with an LED Flat Screen. Queen Size sleeper sofa with a coil/air mattress called an AirDream. 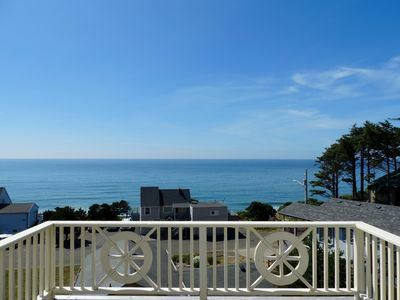 Spectacular, unobstructed, panoramic view of the Pacific Ocean. 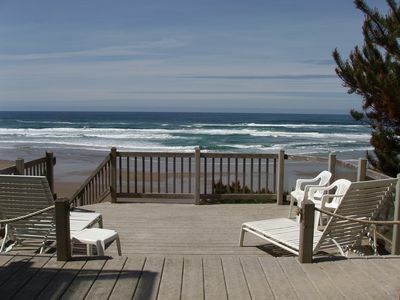 As with our other unit (SandSational VRBO#682414), Seas the Day has one of the best, unobstructed views in Lincoln City! 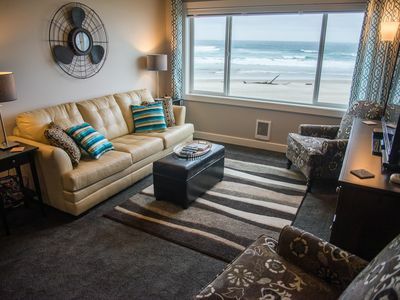 You can curl up on the sofa or in one of the comfy chairs to read a good book or get lost in the mesmerizing waves of the ever-changing Pacific Ocean. 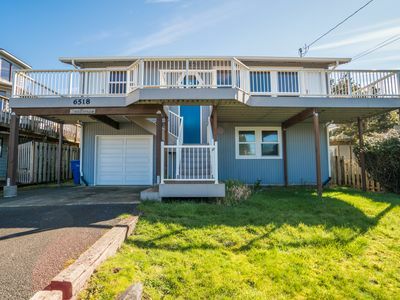 This is a 3rd floor unit, no need to worry about other guests on a sidewalk directly in front of your window or a chain link fence obstructing your view. We have our own private Internet DSL connection. We know how attached many of us have become to our various WiFi enabled devices and how frustrating some public Internet connections can be. Our connection is separate from the complex’s WiFi assuring you readily available access. We also equipped Seas the Day with large 50″ flat screens with Netflix in both the living area and the bedroom for your viewing pleasure. 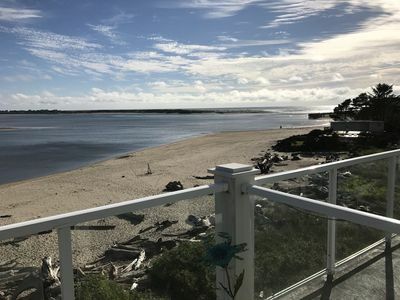 The Pacific Ocean can be cold and is great for getting your feet wet (bring your beach shoes or aqua sox) but not real great for swimming a good portion of the year. 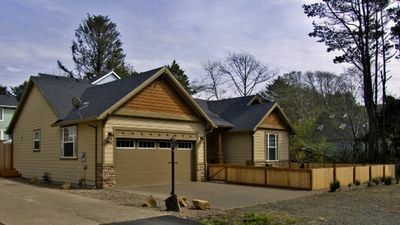 No need to worry though, the complex features a heated indoor pool and dry sauna for your enjoyment. Don’t forget to pack swim suits! In summer, the “D River” (on the south side of the property) gets pretty warm and is a great place to let children play in the water. There is a BBQ area near the pool that has propane gas grills for your use, or you could pickup some firewood at any of the grocery stores or other vendors in the area and have an open fire right on the bean in front of the unit. 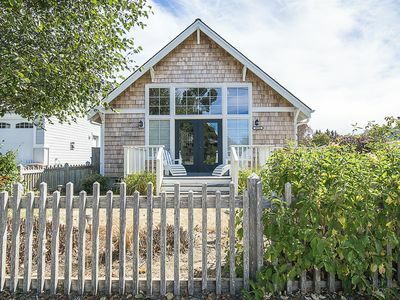 A fun beach house you won't soon forget! 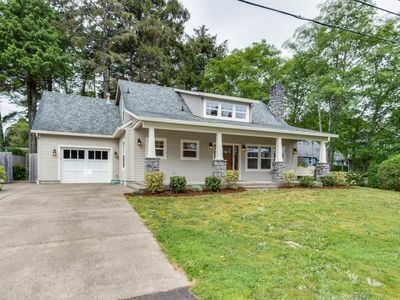 Dog-friendly w/ great location! 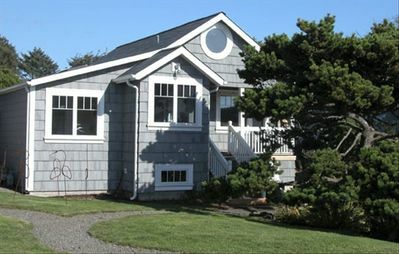 Relaxing home w/ ocean view, tranquil setting, close to beach! 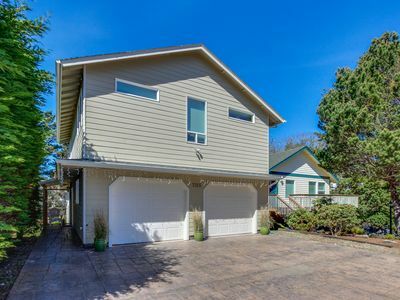 Quiet, spacious home within walking distance to the beach! 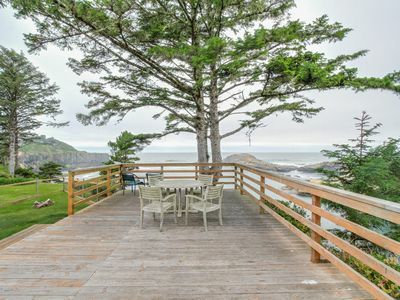 Oceanfront, ocean view cabin - whale-watch from the huge deck, dogs OK! 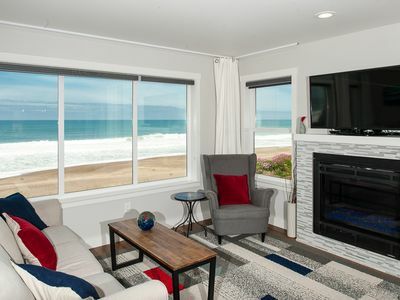 Cute Beach Vacation Cottage, features unique furnishing–chic elements, HOT TUB! 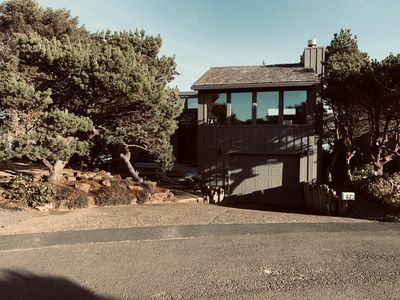 Beachfront Home with Fire pit & beach stairs to the sand. Beach Time anyone? 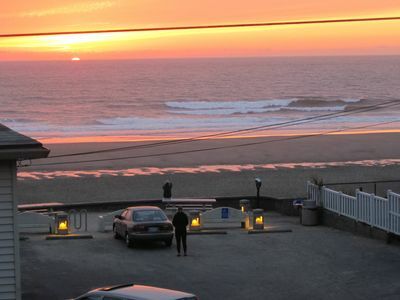 Come enjoy the sweeping view while soaking in the hot tub! 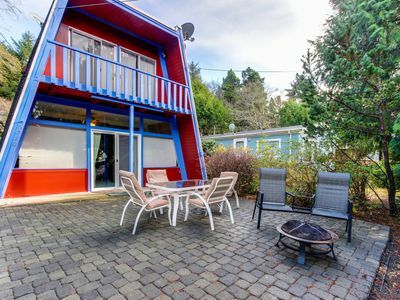 Home w/ woodsy backyard & shared hot tub just blocks from the beach! 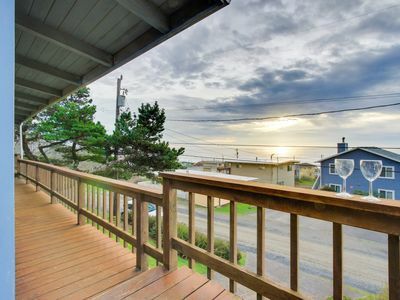 Enjoy this Roads End home w/ ocean views & hot tub at an affordable price!